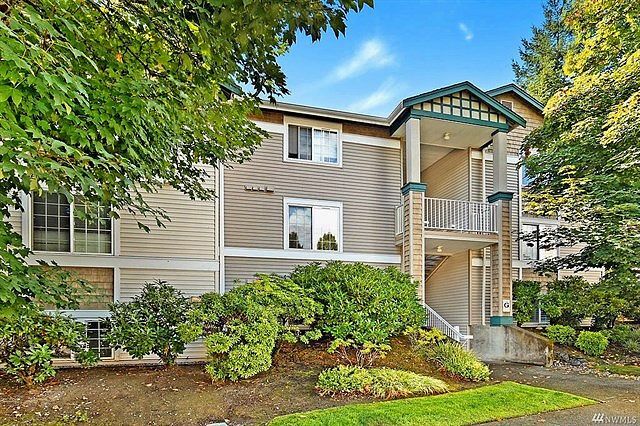 Sparkling, clean, updated 1 bedroom, 1 bath unit that backs to private green belt. Updated kitchen w/brand new soft close kitchen cabinets, newer countertops and appliances, breakfast bar and large pantry. Living room w/gas log fireplace. Master suite with large walk-in closet. Freshly painted inside with brand new flooring throughout. Patio with additional storage space. Facility includes club house, pool, and hot tub plus all the Klahanie amenities. No rental cap. Issaquah School District.